I am very pleased to post the pictures from Mackenzie's First Birthday tonight. The images can be found here, and with any luck, I'll have everything completed before lights out this evening. Maeyee and Ken, thanks for a wonderful time and congratulations on your beautiful daughter and wonderful new home. Speaking of home, it is good to have you both home now too. Welcome back! I jumped out of order tonight to get to a few important birthdays. First off, Sophia turned 2 and I posted images from that party tonight. They can be found here. Happy Birthday, Sophia! As you can see, everyone really enjoyed celebrating with you. My next photography project is Mackenzie. She turned one this weekend and we celebrated her Birthday in her new home. Big crowd, great people, and a wonderful time. I hope to finish those photos this week. Here are the images from Molly's First Birthday Party. Congratulations to you, Molly, and thank you to Mom and Dad for throwing such a fun party! As you can see, the kids all seemed to enjoy themselves quite a bit. Us adults did too. Thanks for having us. 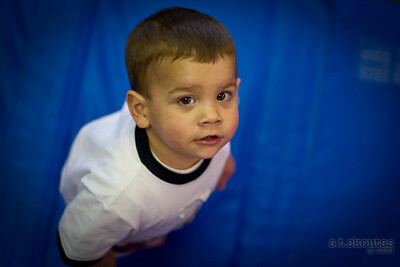 Images are now posted from Dylan's Second Birthday at the Little Gym! The password changed last night, so if you didn't receive it, email me and I will get it to you. Otherwise, go here to see the birthday images. Must be spring, right? We only got a foot of snow this week! Anyway, here is the update for Spring 2009. Our site is now supported by two professional-level print labs. This is a recent change, and the quality is excellent. I've ordered a few prints of our kids two weeks ago and I love the results. The new "metallic" prints are very cool indeed, and unlike any print I've ever seen. Our site also now supports true hi-def video, but I honestly haven't uploaded anything yet to take advantage of it. Oh, we've got a new logo too. You may also notice images are watermarked now. That copyright notice will not appear on any prints that you order. The new password has been sent out to everyone by email. If you did not receive it, let me know and I'll get it to you. Some new additions to "The Old Shoebox" including some horrific pictures from my elementary school. The easiest way to track the updates is by following the blog. You can subscribe to the blog feed at the bottom of any blog page. Here are a few images from ZQ's birthday weekend. This event in particular was Disney on Ice at the Dunk. Not much to see here for most of you, but if this stuff interests you, have at it! Images can be found here. Images from September are now officially complete. I'm well into October, but still almost 5 months behind. It is almost time for a password change too. That will probably occur later this week.